Thanks for taking the time to check us out. I'm convinced you will find Snoot Technologies Incorporated a well qualified partner that will add value to your project. Should you have any questions, please feel free to communicate with me directly and I shall make it my pleasure to respond promptly. 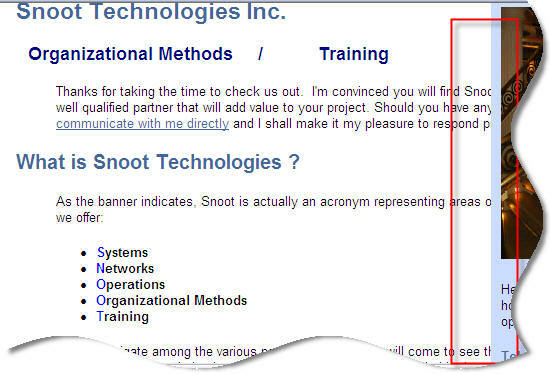 What is Snoot Technologies (click here for the corporate video)? As you navigate among the various pages of our site you will come to see that our varied business experience and knowledge is complemented by a solid technical side that makes us an ideal partner for your project. 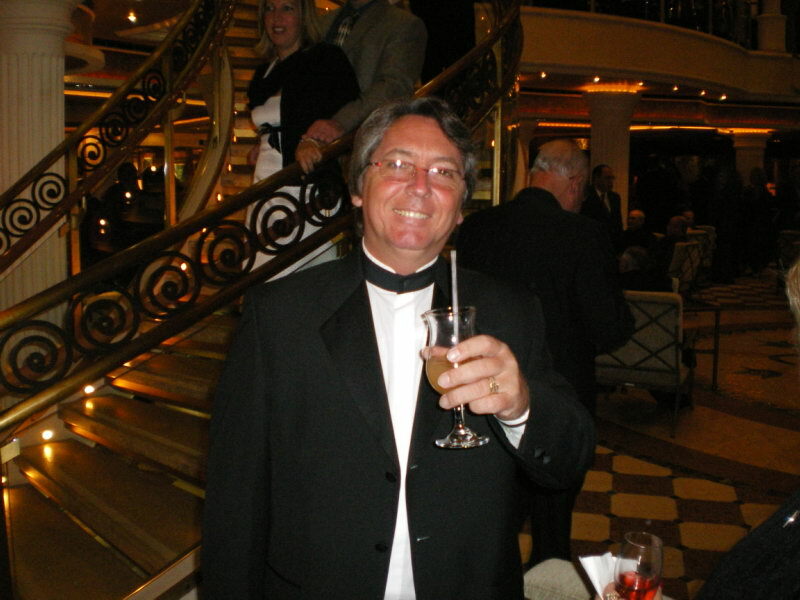 Here's to you...It is both a pleasure and an honor to welcome you to the Grand Gala opening of our re-vamped corporate web site. 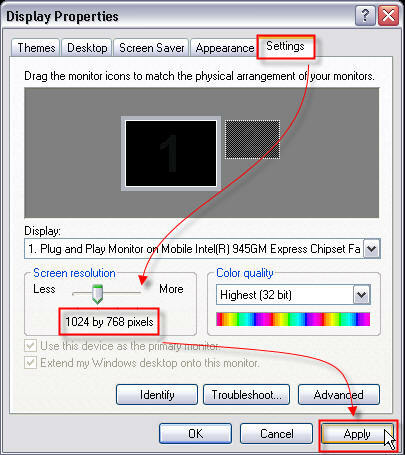 Right click in the screen's background and choose Properties. Copyright © 2002 Snoot Technologies Incorporated (STI) All Rights Reserved.